Find tasting notes, prices and ratings for recent vintages in our selection of September 2014 new wine releases. 14.5/20 — Composed of 97 percent Grenache and 3 percent Syrah, this light, floral wine displays aromas of flowers, mint and raspberry on the nose, and ripe red berry on the palate. 240 cases. 15/20 — This elegant Cabernet Sauvignon boasts red currant flavors with a nice minerality and soft, chewy tannins. 656 cases. 15.5/20 — Made with 65 percent Cabernet Sauvignon, 22 percent Malbec and 13 percent Cabernet Franc, this red blend displays aromas of cassis, plum and smoke, while flavors of chocolate and blueberry make their way across the palate. 14.5/20 — The bouquet boasts aromas of ripe fruit and rich caramel, while on the palate bright flavors of peach and grapefruit make this an easy to drink and enjoyable wine. 380 cases. 17/20 — Composed of 71 percent Cabernet Franc, 19 percent Merlot and 10 percent Cabernet Sauvignon, this red blend boasts aromas of blackberry and blueberry, along with notes of tobacco. Flavors of creamy chocolate and dark fruit display across the well-balanced palate. 725 cases. 16.5/20 — Made from 83 percent Merlot and 17 percent Cabernet Sauvignon, this full-bodied blend boasts flavors of sage, dark cherry and licorice. 570 cases. 16/20 — Dark red in color, this Cabernet Sauvignon features aromas of black cherry and cassis with notes of wood, juicy fruit flavors and supple tannins. 201 cases. 14.5/20 — This well-balanced Meritage displays bright red fruit on the nose, with a palate of mint and black pepper. 16/20 — A blend of Cabernet Sauvignon, Merlot, Malbec and Cabernet Franc, this wine boasts aromas of blackberry, vanilla and plum. 175 cases. 15/20 — Energetic, yet well-balanced, this wine features aromas of sour apple and citrus, with a strong acidity on the palate. 324 cases. 13.5/20 — This jammy, full-bodied wine has aromas of sweet blackberry, smoke and plum, with smooth silky tannins on the palate. 800 cases. 14.5/20 — A bouquet of spice and cherry on the nose leads to flavors of blackberry and velvety tannins. 13/20 — This rich Tannat hints of blueberry and smoky wood, with cracks of pepper on the palate. 100 cases. 13.5/20 — Riper and fuller than the average rosé, this wine offers flavors of cherry and melon with a hint of smoke. 265 cases. 13.5/20 — A very pale pink in color, this rosé features aromas of melon and berry with a dry finish. 850 cases. 13/20 — Composed of 48 percent Merlot, 25 percent Cabernet Sauvignon, 20 percent Cabernet Franc and 7 percent Petit Verdot, this blend offers aromas of blackberry and rose, with flavors of cherry, vanilla and earth. 15.5/20 — Aromas of peach, honey and pear display on the nose, while apple, tangerine and vanilla flavors move across the palate. 13/20 — On the nose, soft citrus aromas show, while fresh acidity and good minerality play on the palate. 52,000 bottles. 12.5/20 — Composed of Cabernet Sauvignon and Merlot, this rosé features fresh, crisp flavors. 12.5/20 — Displaying complex notes from its Loire-Atlantique terroir, this white blend manages fresh aromas of pear and citrus on the nose, with a lively palate. 840 cases. 13.5/20 — This fun, sweet wines displays flavors of passion fruit and pairs well with fruit and cheeses. 15/20 — Powerful and vibrant, this Brunello boasts aromas of dark cherry and notes of spice, with dark, ripe fruit and silky tannins on the palate. 15/20 — This blend of 78 percent Oloroso and 22 percent Pedro Ximenez is well-balanced and pairs perfectly with desserts. 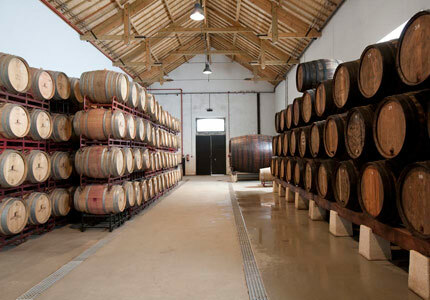 13.5/20 — Orange gold in color, this sherry displays aromas of hazelnut and is dry on the palate, with a warm finish. 13.5/20 — Aromas of sweet blackberry and smoke give way to flavors of chocolate and plum on the palate. 2,000 cases. 13/20 — Full and intense aromas of raspberry and plum display on the nose, while smooth tannins rush across the palate. 13.5/20 — This full-bodied Malbec shows rich blackberry flavors, along with notes of earth and smoke. 16.5/20 — This smooth Cabernet Sauvignon boasts aromas of dark cherry and chocolate, which give way to flavors of deep red fruits and a round mouthfeel with velvety tannins.